served until 2004. In 2000, he made an unsuccessful bid for a seat in the U.S. House of Representatives. In 2005, he was elected to the U.S. Senate. In 2007, he announced his candidacy for the 2008 Democratic presidential nomination. On November 4, 2008, Obama defeated John McCain in the general election and became the first African-American to be elected President of the United States. 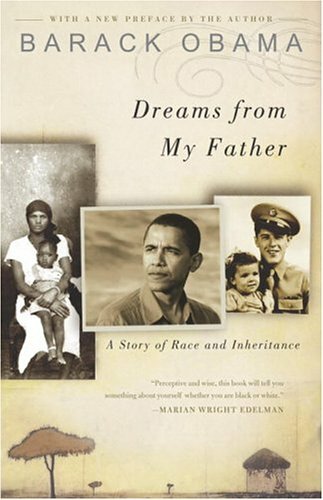 He wrote Dreams from My Father: A Story of Race and Inheritance in 1995 and The Audacity of Hope: Thoughts on Reclaiming the American Dream in 2006. He won Best Spoken Word Album Grammy Awards in 2006 and 2008 for abridged audiobook versions of both books. He won the Nobel Peace Prize in 2009. His book Of Thee I Sing came out in 2010.